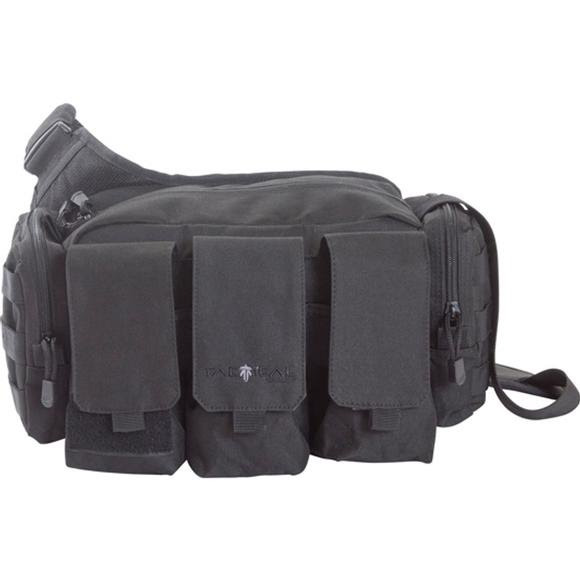 Allen's Edge Bail Out Bag is 800 cubic inches and features three oversized external magazine pockets, exterior accessory pockets, a MOLLE web system, a padded shoulder carry strap, and a cool mesh hip pad. Lockable. Allen&apos;s Edge Bail Out Bag is 800 cubic inches and features three oversized external magazine pockets, exterior accessory pockets, a MOLLE web system, a padded shoulder carry strap, and a cool mesh hip pad. Lockable. Measurements 15" x 9" x 6"